Why Would You Need Replacement Water Mains? There are a number of reasons you may look at water main replacement. The team at Pipeline Services are fully qualified and experienced in all aspects of water main replacement. We can advise you comprehensively on everything you will need to know with regards to your replacement water mains. It doesn’t have to be a messy job! We pride ourselves on creating as little mess and disruption as possible. We will keep you fully informed of the expected timescales and what (if any) disruption you can expect while we carry out the water main replacement work. We understand that you may be concerned about how your garden and driveway may be left after the water main replacement is completed and we’ve left site! We set ourselves exceptional standards on our customer care at Pipeline Services. This reflected in our ISO registration and something we take extremely seriously. Where necessary we will sheet up the area, which will keep your garden / driveway as clean as possible. We will hose down areas such as pathways & driveways, so that you’re not trailling dirt into your homes. Our engineers will work quickly and efficiently and advise you if there are any delays, or relating issues uncovered. Water main replacement is carried out using the very latest trenchless technology. This is the quickest, most cost-effective and least disruptive way to undertake this type of work. Our staff and engineers have the training and experience to ensure that you get the best advice and solution for all your water main replacement needs. If in doubt give Pipeline Services a call – T. 0800 808 5526. Pipeline Services offer a professional service for all your domestic, commercial and industrial projects. We are based in Manchester but can offer a nationwide service. Our highly qualified engineers have vast experience in all aspects of water main replacement, water main repair, lead pipe replacement and investigation work. We operate to industry regulated guidelines and are fully insured. Our industry accreditations speak for themselves. We take for granted clean drinkable running water, flushing toilets, hot showers and long steamy baths. These aren’t seen as luxuries any more – they are ‘necessities’ and it’s only when the plumbing fails that we realise just how much we rely on them. Piping and pipe connections can fail for many reasons: age, lack of maintenance, adverse cold spells, incorrect installations, and faulty parts. This is why it’s so important to look at replacement water pipes, and ensuring you carry out regular checks and maintenance. That’s where Pipeline Services come in. We are a leading expert in replacement water pipes, service, maintenance and repairs. Knowing the pipe material used in your home or commercial premises isn’t something most people (if anyone) would consider – but it is important. Materials have different life-spans and depending on when they were installed might mean they’re reaching the end of their life. You may just be waiting for a burst pipe to happen! Look at having a home or commercial property appraisal on your plumbing and get professional advice to see if everything is in order, or if you will need replacement water pipes. Wet baseboards, particularly behind sinks, dishwashers, baths etc. All the above can be avoided if regular checks are made and replacement water pipes are fitted as soon you notice anything amiss, - before a major issue happens. If you are having any home or commercial property refurbishment work carried out this is a great time to consider replacement water pipes, even if there is no damage indicated. 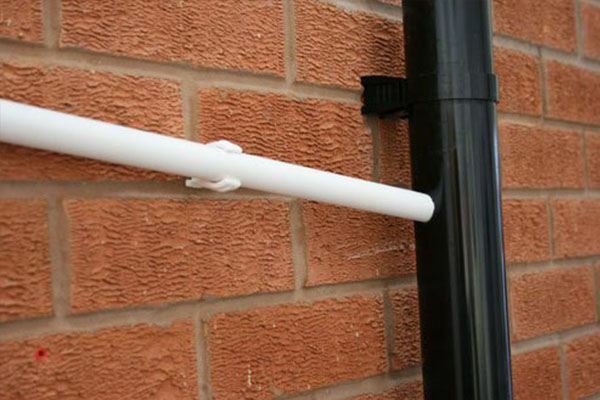 If the piping isn’t PVC (which can last indefinitely) then we would suggest you seriously consider replacing them. The first ‘flushable’ toilet was invented by John Harington, who gifted this to his aunt - Queen Elizabeth 1. The word ‘plumbing’ comes from the word plumbum, which is Latin for lead and why lead is Pb on the periodic table. Not just any old replacement water pipe company! We’re geeky enough to love the trivia too. For all your water supply concerns call Pipeline Services – T. 0800 808 5526. Pipeline Services offer a professional service for all your domestic, commercial and industrial projects. We offer a 24/7 nationwide service. Our highly qualified engineers have vast experience in all aspects of replacement water pipes, water main repair, lead pipe replacement and investigation work. We operate to industry regulated guidelines and are fully insured. Our industry accreditations speak for themselves. If your home or business premises is in need of water main replacement, then you need to contact the team at Pipeline Services. We offer a guaranteed fully insured service and use the latest trenchless technology. This technology provides a quick and efficient replacement service, which is also cost effective. Our staff and engineers have the training and experience to ensure that you get the best advice and solution for all your water main replacement needs. If this suddenly happens the issue may be with your provider. Check with neighbours or on line to seek advice on local notifications to see if this is affecting others locally. If this is on-going and specific to you then you will most certainly benefit from water main replacement work. Don’t suffer – get in touch. The use of lead piping has been banned due to the health implications. Check out our recent articles about the importance of water main replacement relating to lead piping. If you’re unsure if you have lead piping, we can also help you find out. Climate change is a big topic and the hot summers are making water supplies scarce - something we take for granted! Don’t ignore the leaks around your home / offices! Did you know that around 20% of water is lost before it reaches homes? Get in touch with us to discuss water main replacement / repairs to your water supplies. If you are intending to spend hundreds if not thousands of pounds, on a new driveway or extension then it would be extremely wise to arrange for your main water supply connections to be checked. Having any water main replacement work done prior to cosmetic / building work being carried out could save you a lot of heartache and money! The team at Pipeline Services use the latest technology, and our years of experience, to provide our clients with professional advice regarding all areas relating to water main replacement and replacement water pipes. Working in both domestic and commercial areas our engineers are available 24/7 to assist, and are on-call for all emergencies, when tomorrow just isn’t good enough. Over time water main replacement and water pipe replacement becomes necessary. Damaged / burst pipes in our water system is one of the most common plumbing problems. Caused by time, general wear and tear, freezing weather and even misuse. At Pipeline Services we use the latest trenchless technology for all our water mains replacement and water pipe replacement, ensuring the least possible disruption to our clients and their homes and gardens. We spend a lot of time in our homes. It’s our private space and our safe-haven. Generally we invest a lot of personal time and energy ensuring that our home is welcoming and well decorated. So, there is nothing worse than when damp patches appear and ruin the ambiance. The appearance of mould is not only an eye-sore it is also a health risk. Mould is a recognised allergen and irritant and can cause headaches, breathing difficulties along with nausea and fatigue. When we received calls from several residents is was obvious to us fairly quickly that this was more than just bad ventilation. The team were called out to site to investigate damp issues at a number of properties. Tenants were having to keep windows open due to smell of damp, and continuously having to clean the black mould off their walls. Our engineers attended site and carried out a survey of the drainage lines on site. Defects were found all along the drain line running beneath the properties, which were allowing water to escape to ground and cause the damp issues. We also found a broken gully which needed replacing due to water leaking in and around the edges, also causing additional damp issues. The report was reviewed, and we recommended a number of patch liners to be installed to cover the cracks and defects along the drainage line. We also replaced and installed a new gully to prevent the old one leaking to ground. The work was carried out shortly after the report was completed. Once the repairs were carried out, and adequate ventilation time allowed, the smell of damp receded. The residents are now no longer plagued with damp, and possible health issues. Visit our page https://www.pipelineservices.co.uk/water-leakage/ for further information. Pipeline Services are experts in replacement water pipes, water main replacement and repairs. If you have concern about damp appearing then give us a call – T. 0800 808 5526. Pipeline Services are a specialist supplier and contractor for all your domestic, commercial and industrial projects. Based in Manchester, our highly qualified engineers have vast experience in all aspects of water mains replacement, replacement of water pipes, water pipe replacement and investigation work. Pipeline Services operate to guidelines set by industry regulators. Our industry accreditations speak for themselves. When the phone rings at Pipeline Services inevitably it will be from a homeowner, or commercial property owner. Reporting anything from a small leak, advising of a need for lead pipe repair, asking for a water supply pipe replacement cost, or advice on water main repair, and so many other areas of pipeline support and services that we provide. Life is never dull! It’s important to us that from the initial phone call or email, all our clients are given the very best advice and support. All our fully qualified engineers have an extensive knowledge of the many areas we cover, including lead pipe repair, water supply pipe replacement, water main repairs etc. 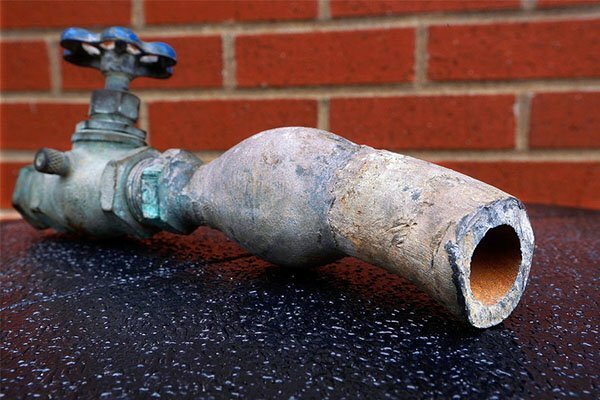 We offer an on-site assessment, after which we provide a full report in plain English, explaining our findings and what work is necessary – we can also advise on lead pipe replacement schemes, so if a lead pipe repair is necessary we can provide the repair and help with any necessary paperwork! It’s important to respond as quickly as possible when a leak is reported. When the property owner on Oak Avenue called us to report a common supply leak, we had an engineer on site as soon as possible. The engineer traced the leak to a point where it was necessary to excavate the site, to expose the damaged pipe. He could then pinpoint the exact point of the leak ready for the water main repair. At this stage the water supply was switched off, and a full repair was carried out. This was done with a minimal amount of disruption to the homeowner and the neighbouring properties. On completion the supply was switched back on, and the excavation area was backfilled and reinstated to ‘as found’ condition. Pipeline Services are experts in water main replacement and repairs. It’s important that your water supply is fit for purpose, and you’re getting the most out of your supply. If in doubt give us a call – T. 0800 808 5526. A specialist supplier and contractor for all your domestic, commercial and industrial projects. 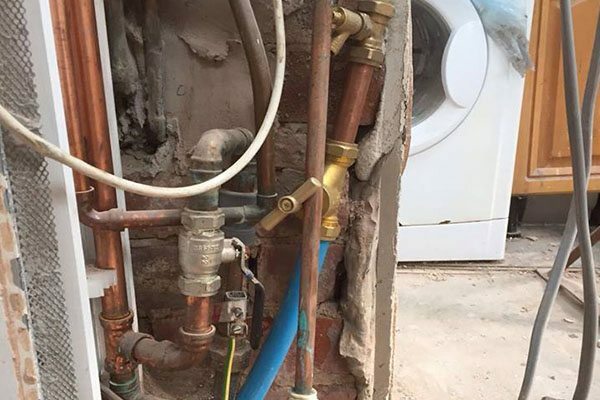 Based in Manchester, our highly qualified engineers have vast experience in all aspects of water mains replacement, replacement of water pipes, lead pipe replacement and investigation work. Pipeline Services operate to guidelines set by industry regulators. Our industry accreditations speak for themselves.